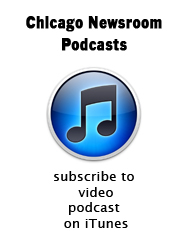 Two of Chicago’s top veteran reporters visit the Newsroom this week, and things start off on an optimistic note. NPR’s Cheryl Corley and the BGA’s Andy Shaw have more than 60 years’ reporting experience between them (Andy reported for Channel 7 for decades) and they both believe the education reform package that has emerged in the Illinois Legislature is a positive development. It’s a way to begin tackling the thorny problems of education funding and school reform without demonizing teachers and destroying collective bargaining, they say. It’s a wide-ranging discussion about schools, policing, youth violence and Chicago politics, with a few laughs along the way.